Recently, LEDAS published a press-release “LEDAS Labs Starts with Cloud-Based Geometry Comparator” which enabled ‏ Deelip Menezes to entitle his related blog post as "Ledas Starts Rebuilding Its Technology Portfolio" and @upFronteZine to tweet "... they're back". LEDAS team, with its experienced mathematicians and software engineers, is responsible for LEDAS Geometric Solver (LGS 2D and LGS 3D), Variational Direct Modeling technology, the new generation Russian Geometric Kernel, and some of the core computational components used in the world-known CATIA from Dassault Systemes. Although the original competitive components and products have brought LEDAS wide renown and an honorable positioning in the global technological market of engineering software, the company never was able to make this part of its business really profitable: see for example “Providing geometric solvers (be it Siemens PLM or LEDAS) is cool but became not so profitable”. In October 2011 LEDAS sold its intellectual property to Bricsys. 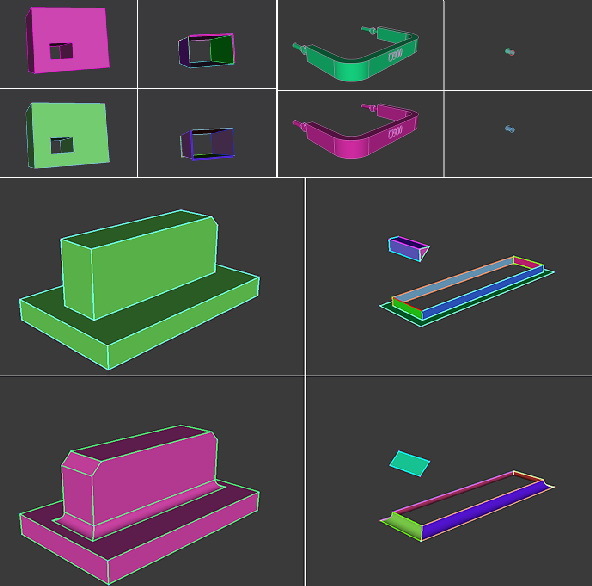 This IP included LGS 2D, LGS 3D, Driving Dimensions and RhinoWorks among other CAD tools and technologies. The deal was inspired by (1) recommendations from LEDAS advisors to concentrate the company on single, more profitable, business, and of course (2) the attractive proposal made the buyer. After that, LEDAS extended its customer base, increased its income, and for some time was feeling like a mature service provider with unique competence, skills, and success stories. However, all this was not enough to sufficiently support and increase the team spirit. The key point is that many people in LEDAS are very creative and innovative, they want to deal with the hardest challenges and problems that face the modern market of engineering software, and they believe that the team is able to attack such problems. Also note that due to our intensive isicad (www.isicad.ru and www.isicad.net ) activity, participation in COFES, and a lot of other global contacts with leading experts, LEDAS managers and specialists are well aware of the key market trends and challenges. Therefore some time ago we at LEDAS initiated a brain-storming which led to a list of dozen and more project ideas which look attractive for the market and in some cases are innovative. After that we got feedback from our advisers and some other market leaders. The list was modified, filtered, extended, and finally resulted in a couple of topics which we decided to transform into our venture projects under the roof of the newly organized LEDAS Labs. Will this change the company’s strategy? Well, the lessons learned show that LEDAS by its nature is a typical Lab team however with a very high skill level & experience of providing industrial R&D services. This means that we will continue and push forward our business in the area of services and at the same time by the end of 2013 will probably open several Labs projects. These projects should be brought at least to the level when industrial tests clearly demonstrate efficiency and competitive advantage. One of such projects, LEDAS Cloud-Based Geometry Comparator (LGC), has already been unveiled. •	It is offered at a much lower price. More information about LGC can be found here. LEDAS has already received several requests related to the first project, LGC – the requests which are quite practical and came from noticeable actors of the market. Anyway, as a key investor, I feel rather enthusiastic about this project. This also relates to the next LEDAS Labs project which will likely be announced by the beginning of October. - has partners/investors/customers that are interested in marketing, distribution, integration, and further development of the Labs products and/or technologies. LEDAS is open for discussions on both options.